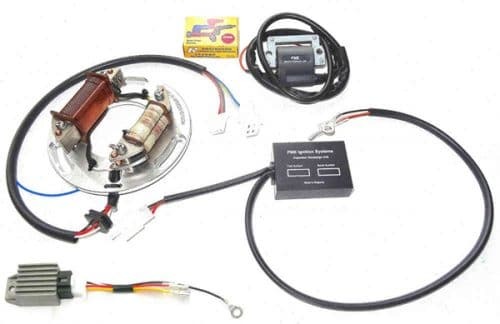 12 Volt dynamo and CDI ignition kit RMK4. Dual Power competition ignition out performs all other digital and analogue systems, even those using an internal type flywheel. Supplied in a ready built up 12 volt configuration, plug and play with standard XT500 wiring looms. Full electronic timing and control. No points or mechanical advance. 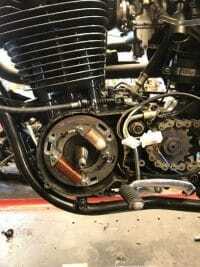 Ignition timing is trimmed on the CDi unit, no need to remove the flywheel. 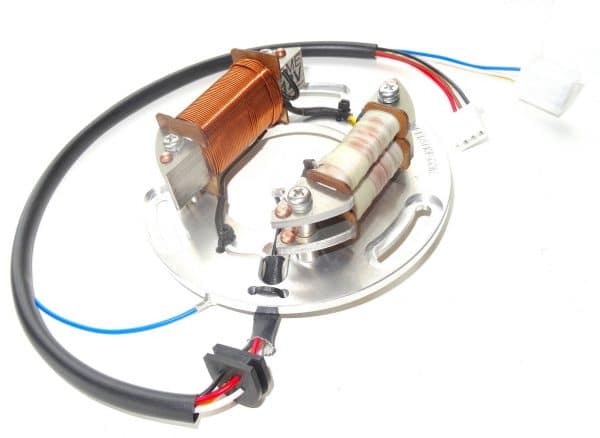 The “Dual Power” CDi source coil gives high output ignition at all RPM and is more powerful than any other ignition system. This power increases with rising RPM without dropping off, even when the engine is running at speeds well over the redline. We retain the standard flywheel to aid starting and low down tractability – it doesn’t hold you back. More tractibility out of the bends puts you in front! 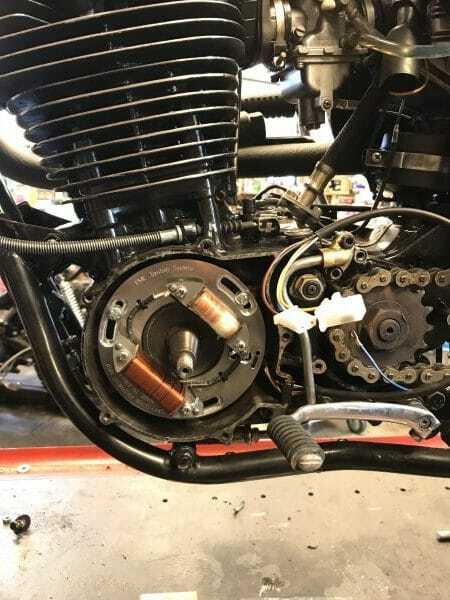 This combination of easy starting, low down tractability and high output ignition makes this the ultimate ignition conversion for XT & TT500s. Sufficiently powerful to run a twin spark head at full power to both spark plugs, requires “yellow lead” twin spark CDi unit to run both plugs at full power.